On the hottest days of summer, being near the water becomes an irresistible option. But being away from the beach, doesn´t mean you cannot get some refreshment from other sources, like outdoor swimming pools, natural water pools, rivers, or waterparks amongst other options. When you think of Valencia, the first thing that probably comes to your mind are the sea, beach, sun and paella. Mediterranean icons. However there are other ways to have fun and to cool down in a less crowded and more secret places, such as the natural pools in some charming mountain villages such as Montanejos, Tuéjar or Bugarra. 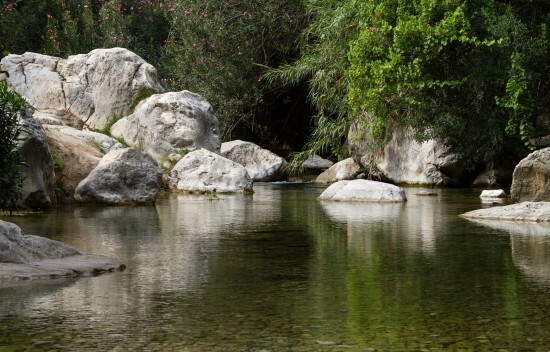 In the province of Castellon, Navajas and Montanejos , the natural pools are a classic. In the province of Alicante, in the town of Callosa d’En Sarria, the Fonts de l’Algar, natural waterfalls which have become a must on the tourist atraction´s list. In a place called Jalance, next to the Júcar river, you can also visit the Cave of Don Juan. At Bugarra there is one of the few beaches along the river Turia, and the Canal de Navarrés, nearly 100 km from the capital, are the Quesa Charcos or natural pools from the river Grande. More quiet places away from the beach where to be cool down in a natural water ponds with a temperature below 20 ° throughout the year, like in Tuéjar. Or the natural ponds across the village at Sot de Chera and Chelva. Or the eithteenth century waterwheel at Casas del Río, next to Cabriel river. Another way to escape from the heat is to spend a refreshing day full of adrenaline at one of the most famous waterparks in the region, Aquanatura, next to Terra Mítica in Benidorm. Also in the province of Alicante, next to the capital, you can find Pola Park in Santa Pola, a park of 24,000 m2. 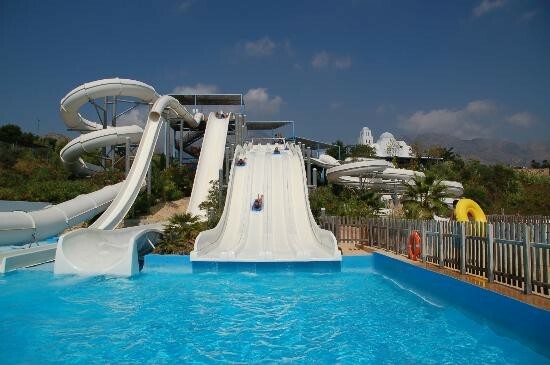 Among one of the most traditional waterparks are Aquópolis Cullera, near Valencia, in which you will find mystical attractions like Niagara, the Black Hole slide over or the Himalayas descent. Further up north of Castellon you will also find Aquarama Benicàssim. At the Spanish Federation of Schools of Spanish as a Foreign Language, there are many schools with programs specifically focused on the youngest students who learn the quickest. One of these schools is Ausìas March, with the perfect combination between classes, entertainment, fun, and refreshment, the ideal plan for summer!